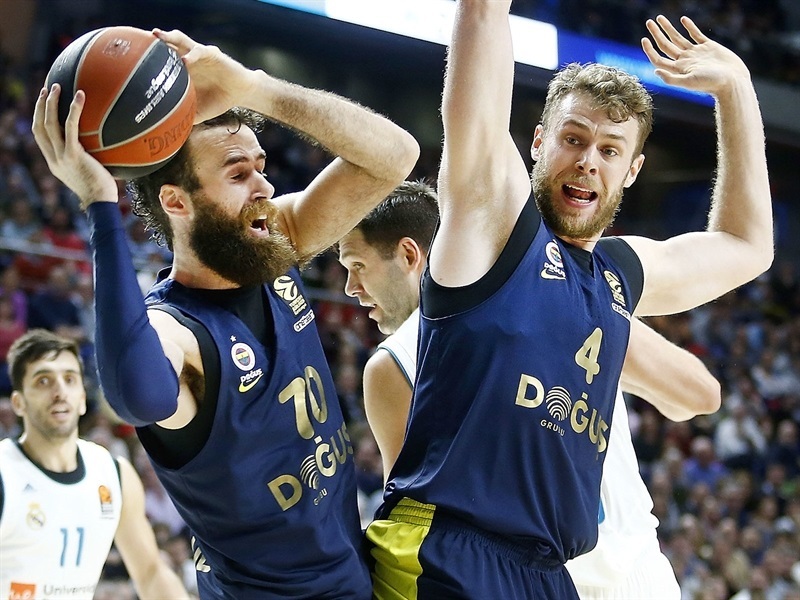 In a battle between Turkish Airlines EuroLeague giants, Fenerbahce Dogus Istanbul took a major step towards reaching the playoffs by topping Real Madrid 83-86 in the Spanish capital on Friday. 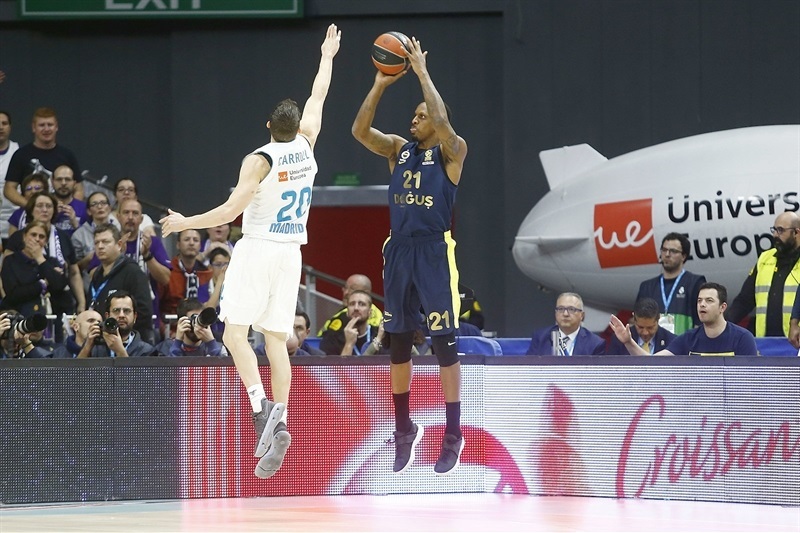 Fenerbahce improved to 17-7 in the regular season standings and is all but mathematically into the next round while Madrid dropped to 14-10 and has a three-win gap over ninth-ranked Baskonia Vitoria Gasteiz. Kostas Sloukas paced the winners with 20 points, all in the final 16 minutes. Luigi Datome added 17 while James Nunnally had 16 for Fenerbahce. 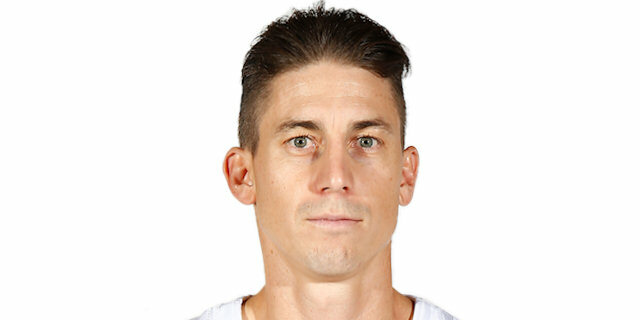 Jaycee Carroll led Madrid with 15 points. 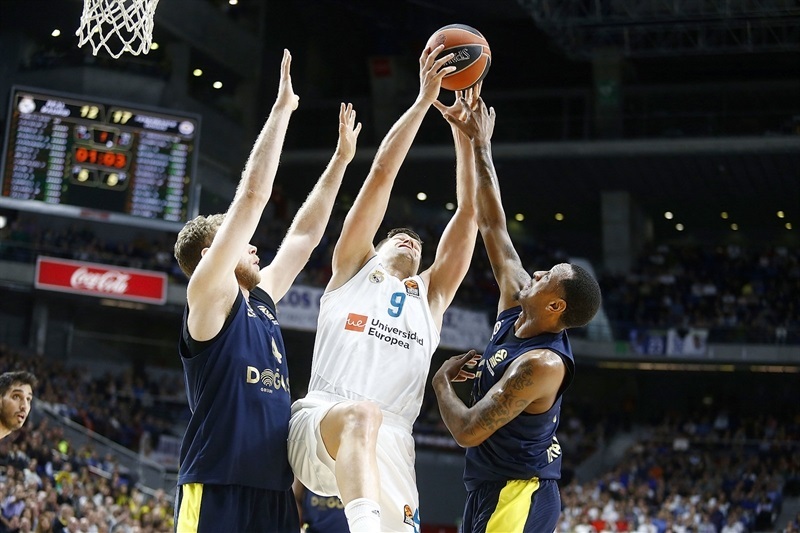 Luka Doncic added 14 while Facu Campazzo had 11 for the hosts. Nunnally and Nikola Kalinic combined for 12 points in an opening 2-14 Fenerbahce run. Felipe Reyes and Fernandez stepped up to tie the game, 20-20, after 10 minutes. A jumper by Doncic gave Madrid its first lead, 33-32, midway through the second quarter. Doncic kept pacing Madrid and a free throw by Carroll fixed the halftime score at 45-40. Nunnally and Datome took over after the break to make Fenerbahce regain the lead, 54-56. 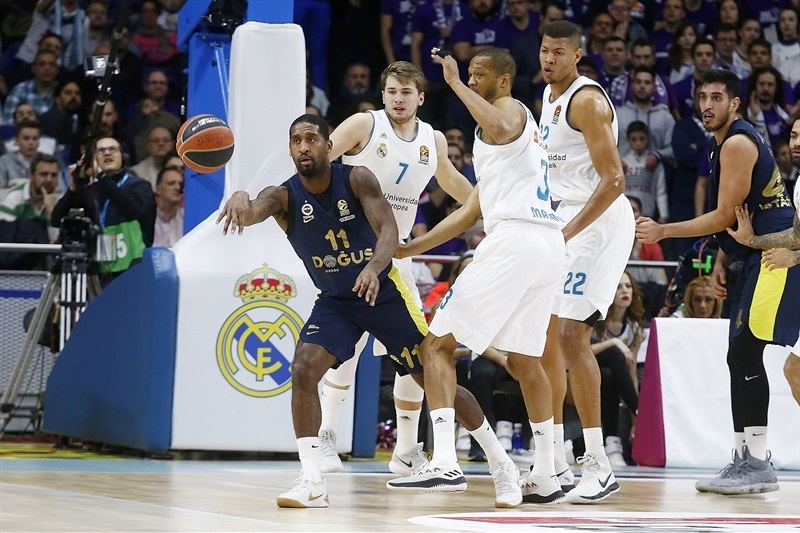 A 7-0 run that Campazzo capped with a three-pointer gave Madrid a 63-59 lead but Sloukas and Brad Wanamaker put Fenerbahce back ahead, 65-68 after 30 minutes. It all came down to the final two minutes, as a layup by Reyes made it a three-point game, 78-81. 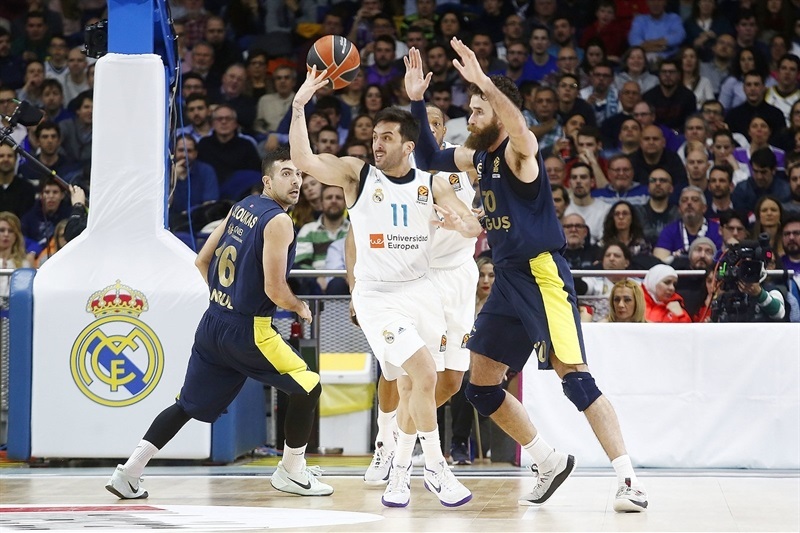 Campazzo and Rudy Fernandez got the hosts even closer, 83-84, but Sloukas hit free throws and Doncic missed a long three-point shot at the buzzer. Nunnally got Fenerbahce going with a jumper and a couple of three-pointers. 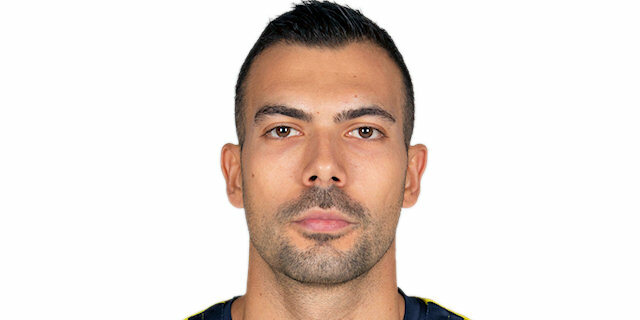 He got help from Ahmet Duverioglu and Kalinic to make it a double-digit game, 2-12. Kalinic capped a 2-14 opening run with free throws. 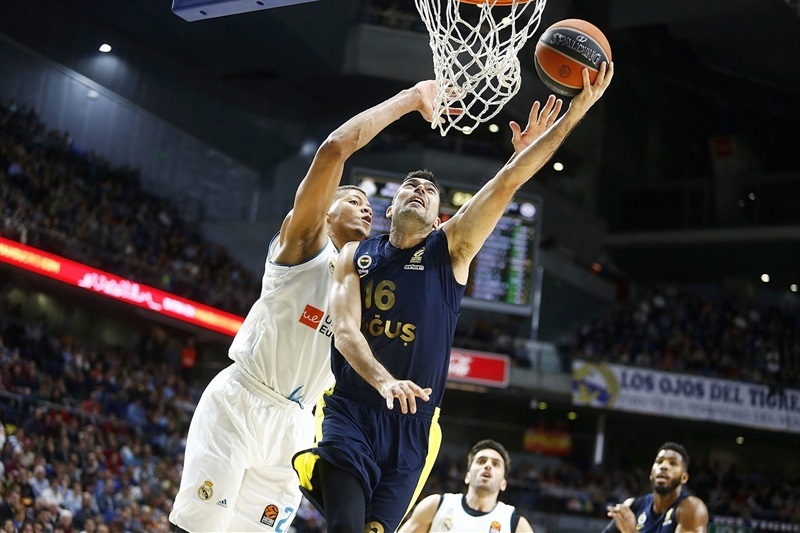 Reyes and Gustavo Ayon stepped up for Madrid and a three-pointer by Carroll brought the hosts within 9-16. Doncic scored around the basket, Reyes hit free throws and a three-pointer by Fernandez got Madrid even closer, 17-18. Free throws by Datome and Fernandez fixed the score at 20-20 after 10 minutes. 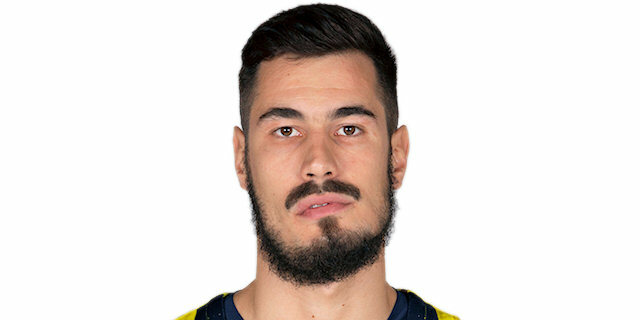 Duverioglu took over with a layup-plus-foul and even when Doncic erased it with triple, Datome struck twice from downtown for a 25-29 Fenerbahce lead. 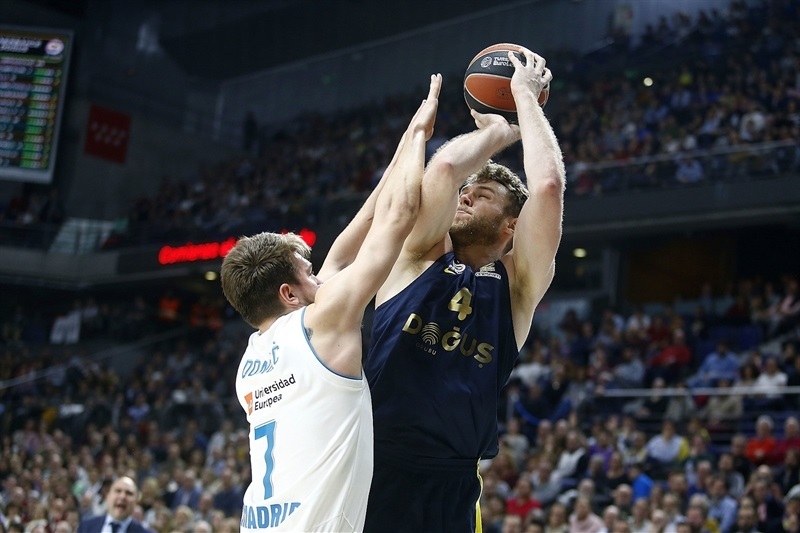 Marko Guduric bettered Reyes's free throws with a three-pointer but a 6-0 run that Doncic capped with a jumper gave Madrid its first lead, 33-32. 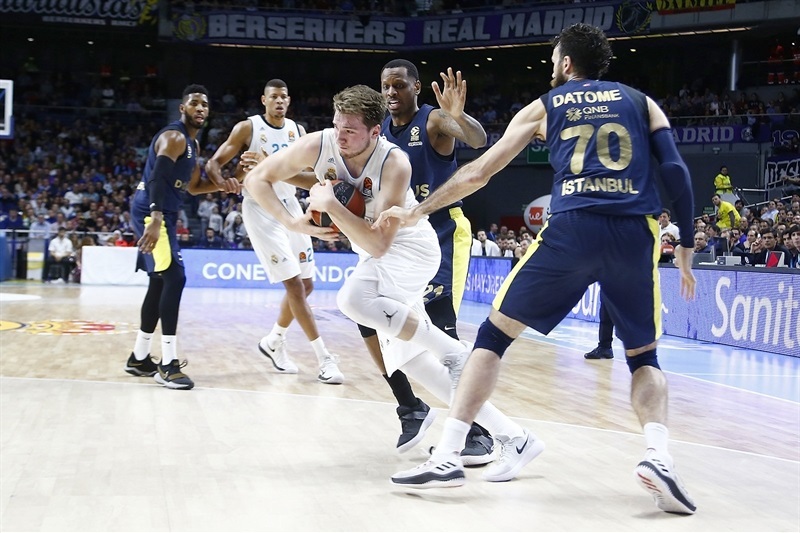 Doncic scored again and fed Anthony Randolph for a dunk but Ali Muhammed hit one from beyond midcourt to keep Fenerbahce within 39-37. 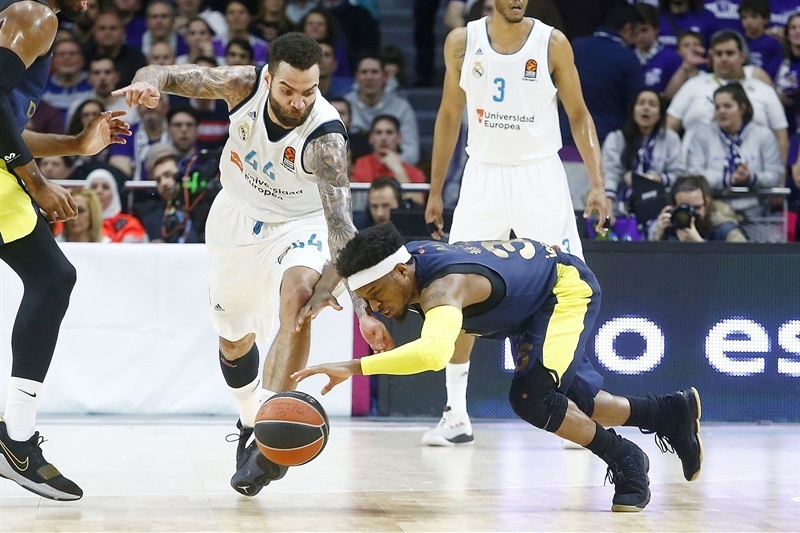 Doncic joined forces with Jeffery Taylor and Walter Tavares for a 45-40 Madrid edge at halftime. Carroll hit a jumper after the break but back-to-back triples by Nunnally brought the guests within 47-46. Randolph stepped up with a layup and a three-pointer but Datome had his team's next eight points to put Fenerbahce ahead, 54-56. 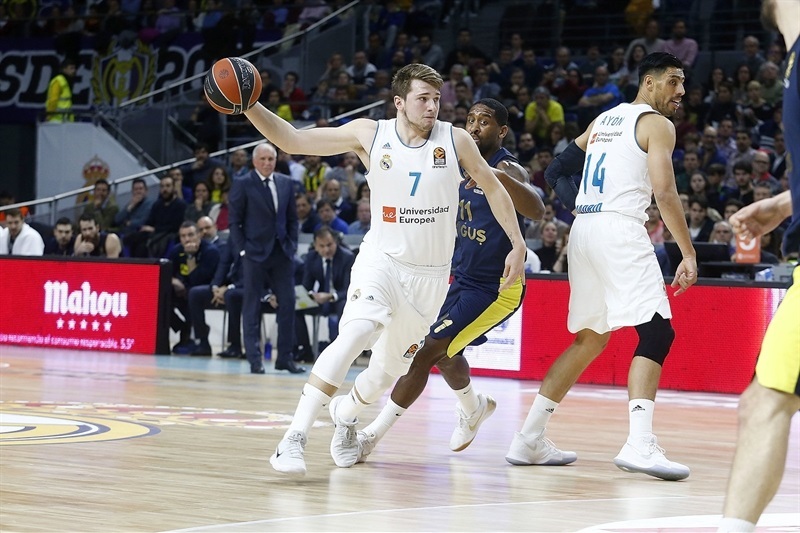 Ayon and Campazzo combined for all the points in a 7-0 run that gave Madrid a 63-59 margin, but Sloukas, Nicolo Melli and Wanamaker brought Fenerbahce back in front, 65-68, after 30 intense minutes. Jan Vesely took over with a reverse layup early in the fourth quarter and Sloukas hit one from beyond the arc for a 67-73 score. Campazzo tried to change things with back-to-back floaters but Thompson and Nunnally answered at the other end for a 73-79 Fenerbahce lead with over three minutes left. Carroll nailed a step-back three-pointer and Reyes added a layup but Sloukas followed a close basket with a critical triple that boosted his team's lead to 78-84 with 1:29 left. 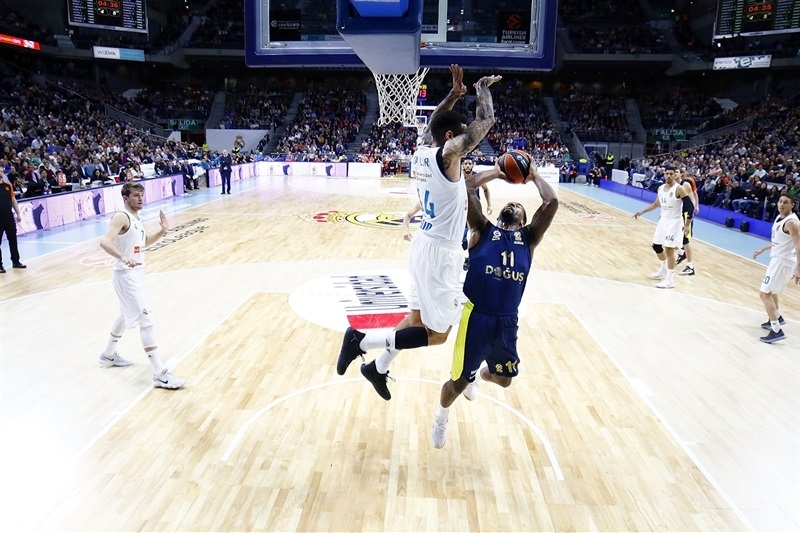 Campazzo hit free throws and Fernandez added a wild triple to get Madrid within 83-84 with 10.9 seconds to go. Sloukas hit foul shots and Doncic missed from way downtown at the buzzer. Both teams return to Turkish Airlines EuroLeague action next week - Madrid hosts Panathinaikos Superfoods Athens and Fenerbahce visits Zalgiris Kaunas. "Congratulations to Fenerbahce for the win. I believe the game was be read in two different ways. First, based on stats, it was a balanced game, we even had a higher team PIR, but their three-point shooting was decisive. They hit 13-of-20 three-pointers, it is a high percentage and some of the shots were contested. They are a talented team which can do that. The feeling that we have is that the team worked well. I have the feeling we did a lot of good things during this game but paid a high price for some mistakes - some bad offense, a miss that turns into a shooting foul at the other end, particular situations in which they punished us in such a balanced game like this was. This is it - we have to look forward and next week, we have a very difficult game against Panathinaikos at home. We have to use games like this to keep growing as a team and again, congratulate Fenerbahce for the win, of course." "It was the typical game between these teams. We have played against each other a lot in the last few years and it is always tough to play against Real Madrid. I think we started the game really well and after that – and this is something I was talking to my players about before the game – we had to think on the game only, be focused in tough moments and keep our concentration. We lost all that, above all due to Madrid's reaction and our own mistakes. When you are not focused and think about this and that, it always goes wrong. We talked about it at halftime. My players only have one job, and that is playing basketball, being aggressive on defense and offense. And we changed. In the end, we deserved to win the game against, I insist, a great team which, in my opinion, has had an excellent season until now if you think about the many injuries it had. It is an important win for us but we have to play six more games. We have to keep fighting and see where we stand at the end of the regular season." "We fought and did good and bad things. We have to think about the six games we have left. They hit a lot of three-point shots with a high percentage. We knew that Nunnally is a good shooter, but 4-of-4 is a lot. Kalinic hit 2-of-2 and had 20% before this game. They hit a lot of shots and we did things well, rebounding and putting some of their players in foul trouble, but we didn't reach out to their shooters." "In the end, the game went down to small details. We fought until the end and could have done better early in the game. Their backcourt player did well and I give them credit for that; they are one of the best teams in Europe. We don't have the best feeling right now. 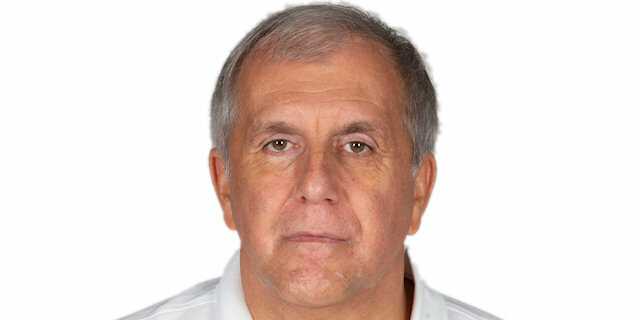 We are not happy because we are losing a lot at home, and it is very important to win at home in the EuroLeague. Every EuroLeague game is difficult and if we want to get a top-four finish, we must win at home, starting against Panathinaikos on Thursday. We still have six games left and will try to get as many wins as possible." "Like everybody knew before the game, it was going to be tough. We wanted to get back on track. We were losing some games and losing sometimes badly in the first part of the season and now, we want to show everybody that we are back and we have character. We are building our character and continuing to improve ourselves daily, in every practice and every possible occasion. It was a really tough game and we had a lack of concentration in the first half. We allowed them to score some easy points and a lot of free throws. After that, when we started playing basketball and focused totally on what was happening on the court, we showed that we were the better team tonight. For sure, Real Madrid is going to be a great team, especially if Llull comes back. It will be really tough if we meet again but we are also improving, so it is going to be fun." 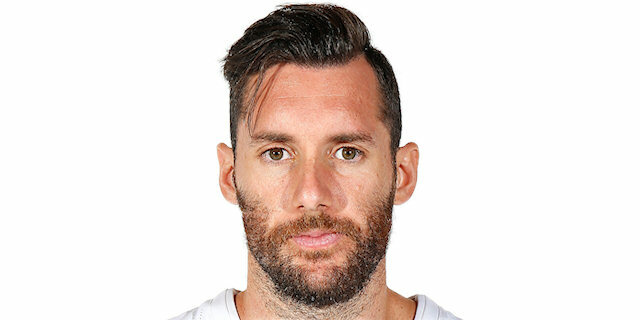 "We knew that Real Madrid was playing really well here. They a very good, quality team. We had the control of the game and had a good start, but after that, we lost our mind and made some stupid fouls and turnovers. I think we played good basketball in the third and fourth quarters. We played good defense, hit some crucial shots and that's it: we took a very big victory. This is basketball and anything can happen. I am healthy and very happy that we won the game. We have to keep going now."